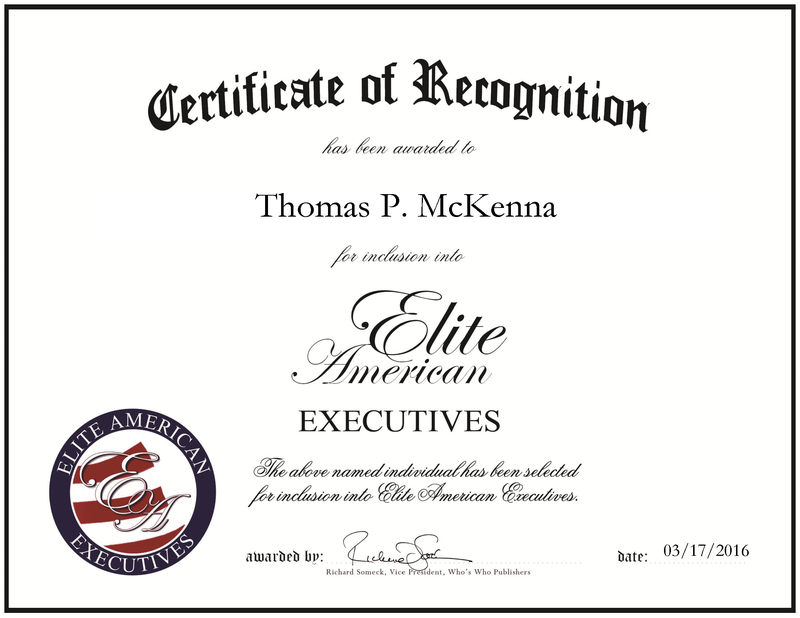 Rocky River, OH, March 17, 2016, Thomas McKenna, Director of the Finance Mission Area at Defense Finance and Accounting Service, has been recognized by Elite American Military, for dedication, achievement and leadership in strategic planning. Lt. Col McKenna retired from the United States Army after 35 years of service. Since 2011, he has managed the payment for retired military annuitants. While overseeing a staff of 55 personnel spread out across the United States, Lt. Col McKenna conducts strategic planning regarding the future of retired pay. This requires him to stay on home of trends affecting military retiree pay. He applies his Six Sigma Black Belt certifications, along with the knowledge he has gained from hard work, great mentors and being open about his future. In addition to his military career, Lt. Col McKenna earned a bachelor’s degree in finance and marketing from Cleveland State University and a master’s degree in public administration from the University of Texas at El Paso. He served as Lieutenant Colonel and finance officer in the Army for 31 years, and maintains affiliation with the Veterans of Foreign Wars and the American Legion. He has been recognized with a Legion on Merit Military Award, a Defense Meritorious Service Medal and an Army Meritorious Service Medal. In the coming years, Lt. Col McKenna would like to be a director at a different site, such as Germany or Japan, and have an international presence. This entry was posted in Finance and tagged accounting, finance, marketing, military, six sigma black belt, strategic planning. Bookmark the permalink.